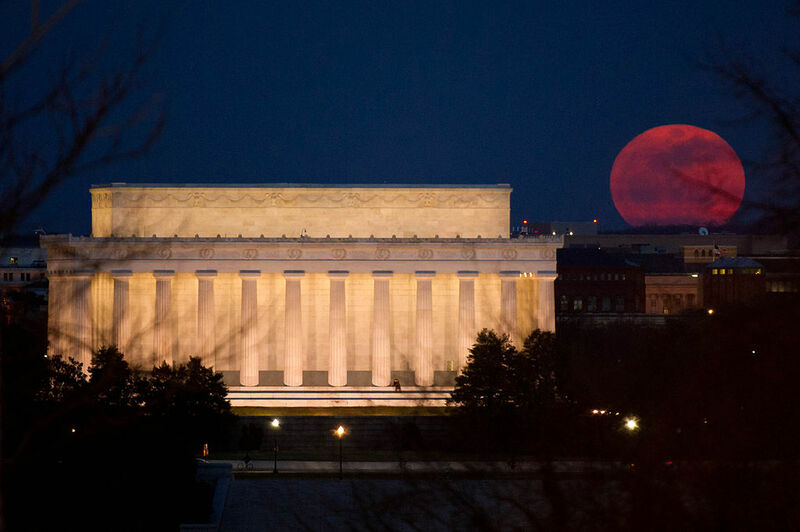 Super moon rising over the Lincoln Memorial. Courtesy of Wikimedia Commons. “Not particularly, no,” he said. “Big, and bright?” Could he really not see the difference? Again, his sports consumed him more. Damn, Olympia! she thought. “Whatever you say,” he said. “It’s a rare thing; not to be seen again.” Silvered sparkles streamed from her long, luminous locks. Moon narrowed her eyes, trying to fight back tears. How dare he? “I’ll show you!” she said. Furious, she retreated outside, and perched her bright beams on a Southern branch where she whiled away the night, sulking. Wondering, if he didn’t see would anyone in this whole, wretched modern world? Would they notice that the moon — for the first time ever — set in the South?